Stream anime episodes online for free, Watch One piece Episode 194 English version online and free episodes. Anime Episode guide One piece Episode 194 English dubbed I Made it here! The Yarn the Poneglyphs Spin! Robin deciphers the poneglyphs on the Golden Bell and realizes how to find the Rio Poneglyph. 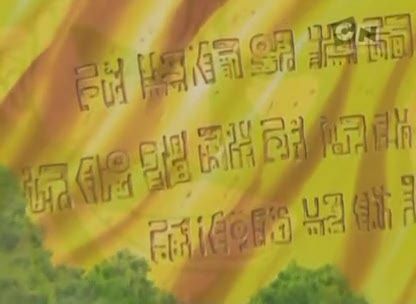 She also discovers that the poneglyphs on the Bell were written by Gol D. Roger, who could understand poneglyphs, who had discovered the Rio Poneglyph, and had once visited Skypiea. Soon afterwards, the Straw Hats steal a bunch of gold from the Giant Anaconda’s belly and they begin to leave Skypiea.